Round 5 of Super GT comes from Fuji Motorspeedway. Commentary from Jonny Palmer and Sam Collins. 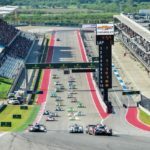 The World Endurance Championship superseason continues with the 6 hours ..
Coverage of the first Asian race of the 2017 FIA .. 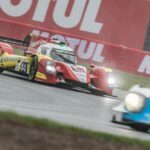 The 2016 FIA World Endurance Championship begins its Asian our .. The 2014 FIA World Endurance Championship continues its global journey .. The FIA World Endurance Championship from Fuji in Japan. Commentary ..
Coverage of the sixth round of the FIA World Endurance .. The 2012 FIA World Endurance Championship continues its global journey ..